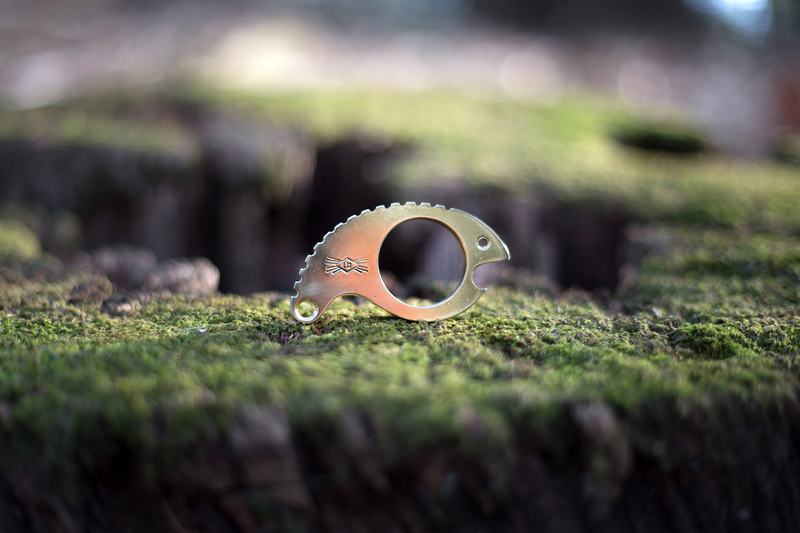 I am a huge fan of anything handmade, especially when it’s related to EDC gear. Every pair of jeans I own has a worn right pocket from carrying a knife for so many years. 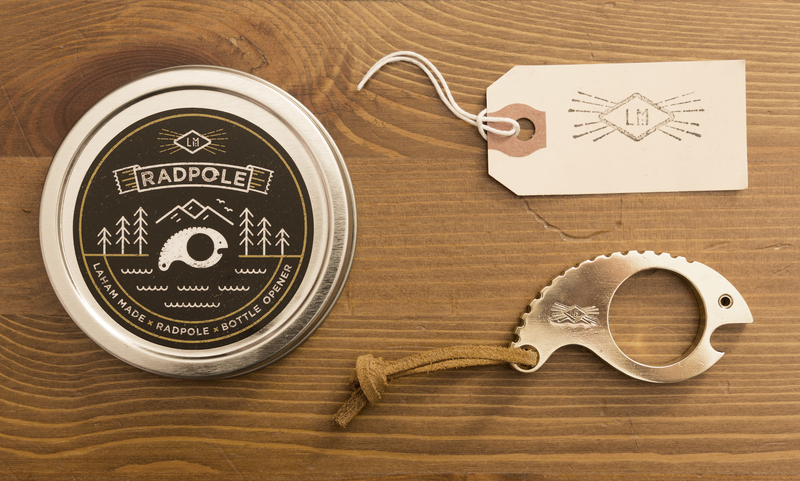 When I stumbled across Jared Laham’s work on Dribbble, I was pretty excited to see he also makes custom knives and tools. 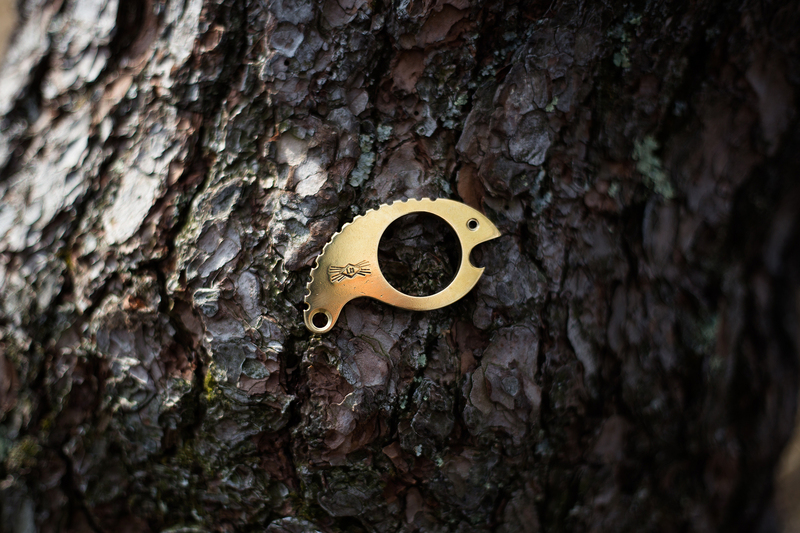 Initially, I reached out to him regarding a metal engraving question but I soon had the idea of doing a photoshoot for his Radpole bottle opener. 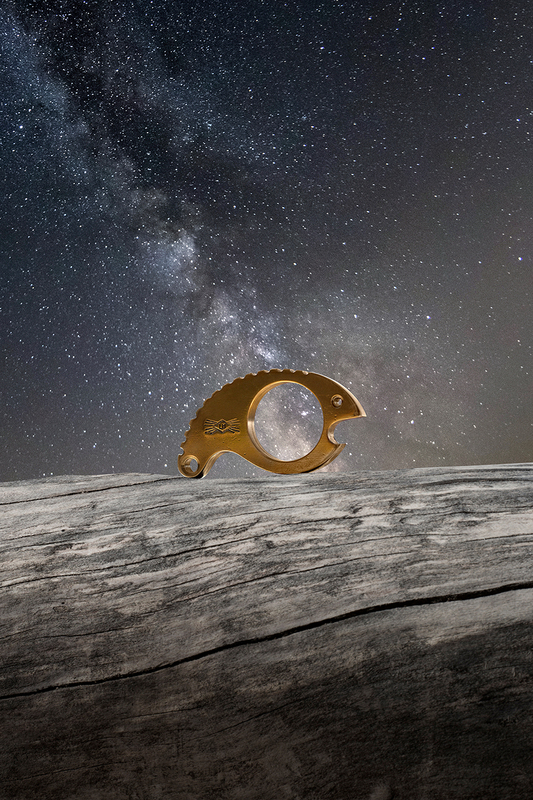 I had been exploring new ideas for astrophotography and thought it would be interesting to do a product shot under the Milky Way. Jared was onboard and got to work on a killer brass design with the Laham logo stamped on the side. The first thing that blew me away was the detailed packaging. It’s easy to see how Jared’s career as a designer has influenced his products. The size of the Radpole was actually smaller than expected (in a good way). I was afraid it would be a little big to carry in pocket with other items, such as car keys, but that wasn’t the case. Still, the Radpole felt just big enough to feel comfortable in hand while using it. The jimping on the spine was nice; not too aggressive but enough so that it’s actually useful. Every edge of the Radpole was very smooth and the overall polish was beautiful. Of course, it opened bottle caps like nobody’s business. I could see it having other uses as well, such as a makeshift pry bar or even self-defense. For photos, I created a mix of star photos and some regular nature scenes while hiking. The Milky Way shot is a composite of two images, one to focus the stars and another to focus on the Radpole in the foreground. I also experimented with making a time-lapse of the stars passing behind the Radpole. My idea was to lay down a mirror facing up toward the sky and place the Radpole on top, then I positioned the camera so you couldn’t see the mirror’s frame or ground around it. Eventually, the mirror became foggy as the night’s dew settled in but it was a fun test anyway. Jared was an absolute pleasure to collaborate with and I’m sure he’d appreciate a follow on Etsy, Instagram, Facebook, or Twitter.